Ram Charan is a happy man finally. 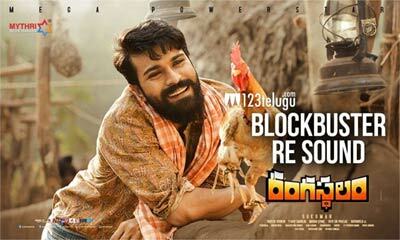 His prestigious project, Rangasthalam has been going great guns at the box office and the latest we hear is that the film has crossed the total share of over 50 crores at the box office worldwide to date. These are awesome figures as the film is doing exceptionally well in both Indian and overseas markets. It has made over 36 crores in just the two states alone and will soon breach the 2.5 million mark in the US market. The trade pundits are expecting that the film will become Charan’s biggest hit and will end up as a huge money spinner for the producers. Mytri Movie Makers produce this film which has Samantha as the female lead.